Martina Schlünder has joined the TRU as a visiting scholar for the spring term. Martina received her doctorate in the history of medicine from the Charité Universitätsmedizin, Berlin, in 2007 having earlier become a a medical doctor, with clinical experience in neurology and psychiatry. Martina’s primary focus currently is the historical relationship between production and reproduction, in particular concepts of reproductive labor. While at the TRU she will be collaborating with Michelle Murphy on a project investigating the temporalities that structure technologically mediated reproduction in the twentieth century. This work is inspired a2012 interdisciplinary conference on the Bioeconomies of Reproduction at the Center for Interdisciplinary Research, Bielefeld, which she co-orgainized. 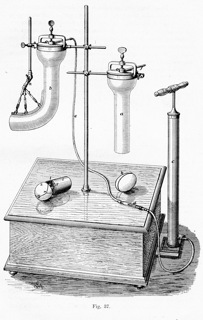 Martina is also writing a book on reproduction and the experimentalization of clinical obstetrical knowledge in early twentieth century Germany , the title of which is Birthing Machines: An Introduce to Ambulant Science. Martina’s secondary research focus is minor epistemologies, which facilitate the analysis of mundane techniques in knowledge production and biomedical practices and how novel hybrid spaces emerge in biomedical research and their accompanying genealogies, particularly as they relate to animals. For example, she has done ethnographic work on the experimental stables used for sheep raised for orthopedic surgery. She also embarked on a new collaborative project on animal ecologies at Frankfurt airport, where she is engaged in an ethnography about the many animals that transit through, live in, or are purged from the airport. Martina has been a visiting fellow at the Department for Social Studies of Medicine at McGill, Montréal investigating interspecies relationships in biomedicine, esp. the history of sheep as a laboratory and test animal in orthopedicf surgery; a research fellow at Justus Liebig University, Giessen continuing the McGill project; and a postdoctoral fellow at the Max Planck Institute for the History of Science, Berlin studying the history of biomedicine, history of reproduction, temporalities and the reproduction of the living. She is co-editing a special journal issue, “Cakes and Candies: The History and Ontological Politics of Feeding Laboratory Animals” and earlier she co-edited a special journal issue, “Feminist Science Studies”. Co-authored publications have appeared in History and Philosophy of the Life Sciences and Social Studies of Science. Martina also co-organized an exhibition on the life and work of Ludwik Fleck which was shown at the Max Planck Institute in 2002 and the Collegium Helveticum/ETH, Zurich in 2004. Fleck’s writings provide a wealth of material and inspiration for exploring the processes of collective writing and the development of tools for ambulant sciences and co-operation of art and science. She conducts such explorations as an active member of the Ludwik Fleck Circle (www.ludwik-fleck-kreis.org). The TRU is delighted to have Martina join us.